“The National Research Council of Canada (NRC) is proud to work with Fives to advance the profilometer technology, pioneered by a multidisciplinary NRC team. 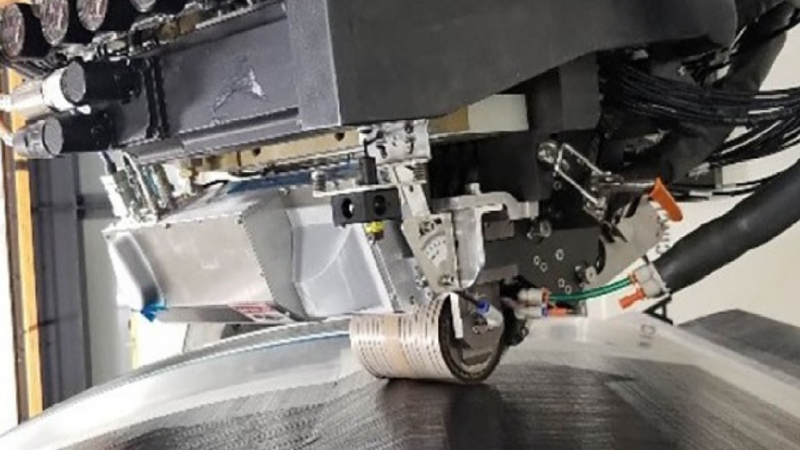 Our expertise, paired with Fives’ forward-thinking methods, will help achieve the original vision of developing an innovative, high-impact solution that enhances the efficiency of automated composite manufacturing and facilitates the digital transformation of the process. ” states Iain Stewart President, National Research Council of Canada. “This is an exciting project for Fives as it demonstrates our commitment to advancing state-of-the-art composite application technology with productivity driven innovations, for both new and existing installations.” comments Steve Thiry President and CEO, Fives Machining Systems Inc.
“We have a strong history of supporting innovation. By joining with the National Research Council of Canada, we are once again contributing to the evolution of cutting-edge technologies for the aerospace and defense industries.” states Erik Lund President and CEO, Fives Lund. As an industrial engineering Group with a heritage of over 200 years, Fives designs and supplies machines, process equipment and production lines for the world’s largest industrial players in various sectors such as steel, aerospace and special machining, aluminium, automotive and manufacturing industries, cement, energy, logistics and glass. The effectiveness of its R&D programs enables Fives to design forward-thinking solutions that anticipate industrials’ needs in terms of profitability, performance, quality, safety and respect for the environment. In 2017, Fives achieved a turnover of €1.9 billion and employed close to 8,700 people in about thirty countries.